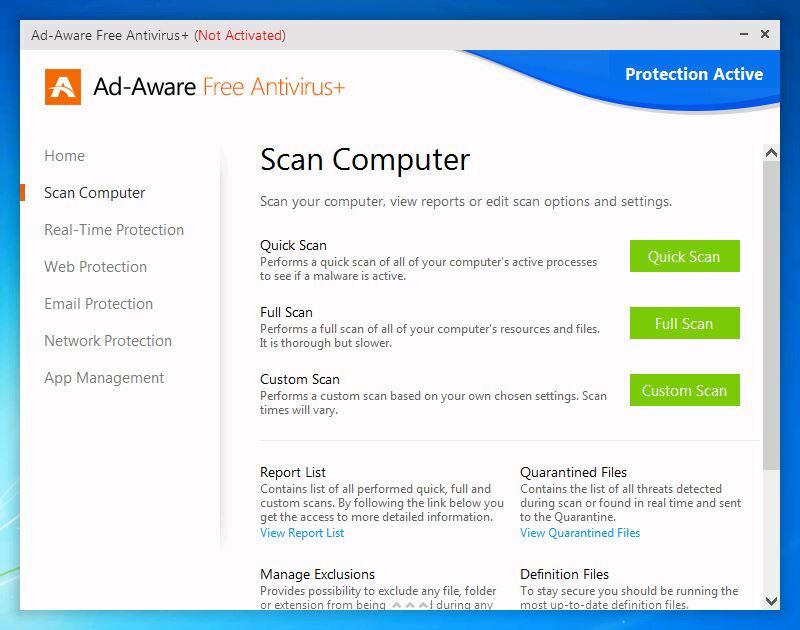 "Protect yourself from viruses and malicious URLs with Ad Aware Free Antivirus+"
The antivirus market is so saturated now that consumers have come to expect more from their applications. There's so many things that users have to be aware of and protect themselves against that do not necessarily fall into the classic virus category. That word itself is used very generally by consumers. Anytime the average computer user's PC starts slowing down or other issues, the phrase "I think I have a virus," is thrown around rather freely when users do not know that there's more than just viruses that can cause issues with their PC. 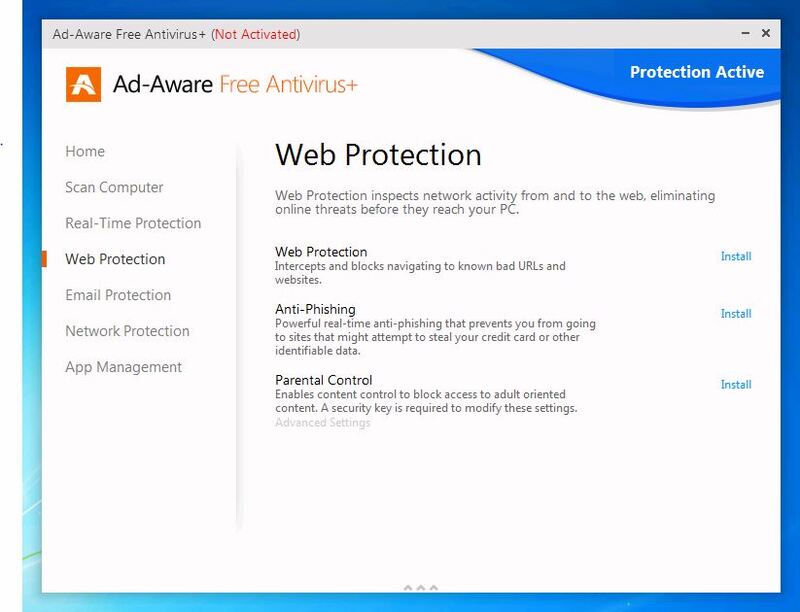 Ad Aware Free Antivirus+ is an antivirus application at it's core, however its web and browsing protection features make it a very good all around, complete protection system for your PC. Ad Aware has two different installation types. The normal/ full installation will allow the application to run as your primary antivirus solution on your PC. 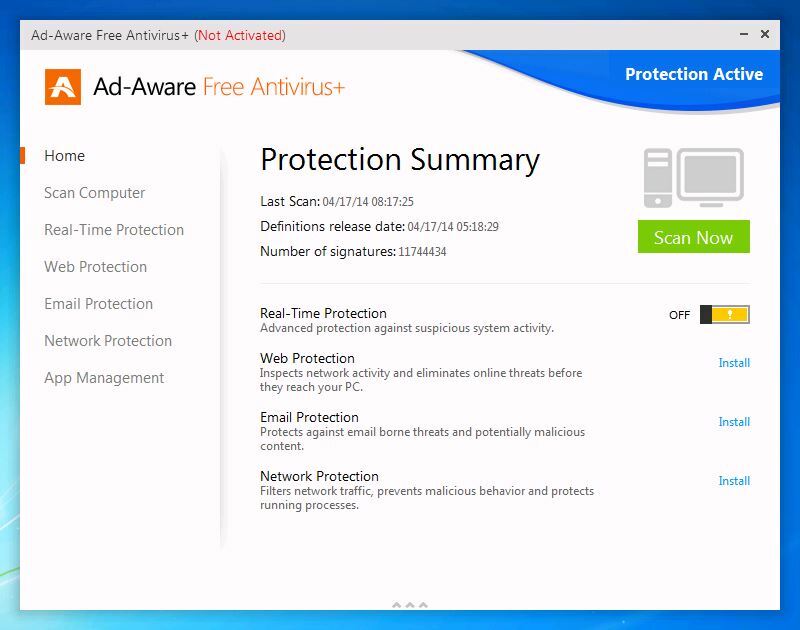 If you already have an antivirus application installed on your computer, Ad Aware will install on your system in a compatibility mode. This mode will allow both applications to exist on the same system without causing any conflicts. Ad Aware will essentially be a "second line of defense." Some of Ad Aware's most notable features include, but are not limited to: its speed, realtime protection, and the Malware Sandbox Emulator. The Malware Sandbox Emulator is a first for Ad Aware. It is a full blown virtual technology built completely inside of the free antivirus that helps to protect users against new and unknown versions of malware.